"If we were to write a mission statement for Jesus, we could not do any better than to repeat His own words: “ ‘To seek and to save that which was lost.’ ” What was lost? It was humanity itself, which was alienated from God, subject to death, and filled with fear, disappointment, and despair. If nothing were done in our behalf, all would be lost." The lesson utilizes three biblical parables to define what it means to be 'lost'. While the introductory 'mission statement' of Jesus certainly is true in that he came 'to seek and to save that which was lost' nowhere in this lesson is it clearly explained just what Jesus did to fulfill this mission by shedding his innocent blood at Calvary for the remission of the sins of the world. For someone whose life is filled with the guilt of their sin what needs to be shared to them, above all else, is to hear the complete gospel in a few clear brief words. For those willing to hear this gospel message isn't complicated. The mission of Jesus is the only gospel that will bring you joy and the birth of your human spirit at the very moment, when in faith, you enter into the kingdom of God and are no longer spiritually dead in this world of sin. While it is true that all sinners face the certainty of physical death that isn't your most important problem. If you ignore Jesus' message that you must be "born again" of your dead human spirit through his blood he shed at Calvary then you will not be in the kingdom of God. Even though Jesus did say that he came "to seek and to save" this is not the best way to clearly express the 'mission statement' of Jesus. The 'mission statement' of Jesus is that he came into the world to be the perfect atoning sacrifice for lost sinners. All else that Jesus did during his ministry here on earth was a fulfillment of the prophecies that led to when he would shed his blood at Calvary for the remission of the sins of the world. In Luke chapter 15 the Pharisees and scribes grumbled because Jesus 'receives sinners and eats with them'. Jesus responded to these accusations with three parables which were; the 'lost sheep', the 'lost coin' and the 'Prodigal son'. For today the lesson focus is on the first two of these parables. The lesson does well by pointing out that it is God who does the seeking, not the sinners who are lost and therefore unable to rescue themselves. Considering our God is all knowing, all powerful and everywhere present (Psalm 139) how can we fail to understand that God will not fail to find and save those he is seeking? Remember, this is all about the infinite power, love and faithfulness of God versus the many weaknesses of mortal sinners. Therefore we must understand the this lesson quote of Ellen White's; 'Unless His followers choose to leave Him, He will hold them fast', is false. Those for whom Jesus seek he will find and he will save. Those for whom Jesus saved through his blood he shed at Calvary belong to him. He will raise them up on the last day. They are not lost nor can they again become lost as they have Jesus promise of eternal life. Those who are 'found' by God can never become lost again. The Pharisees and scribes should have been asking themselves; Are we the lost ones the Messiah is seeking? "may well be called the parable of the loving father and two lost sons". Keep in mind that Jesus as the Son of God has all the attributes of the Father. This means that when Jesus spoke what he said was true in all respects. When Jesus responded to the grumbling of the Pharisees and scribes with the parable of the Prodigal son along with the other two parables they were all accounts of actual historical events that illustrated a moral truth. Furthermore, since Jesus used a combination of three parables in response to their complaint, we should have been doing likewise in this week's quarterly lesson. Regardless of where the prodigal son went or what he did while he was lost he was always the son of his father. If he would have died while feeding pigs he would still have been his father's son. What the prodigal son regained when he repented of his foolishness was restored fellowship with his true family in the home where he belonged. Even while lost the prodigal son was never anything less than the son of the father. The older son would inherit the promises of his father as he was never lost. The message for the Pharisees and scribes to understand is that if they were the true recipients of the promises God first made with Abraham then they would have rejoiced that Jesus was reaching out to those who were unclean. They would have being doing the same as the prodigal son by repenting to their Heavenly Father of their own sins. The Pharisees and scribes were unwilling to do this as they proved themselves to not be the 'older son', the inheritors of the promises of God, they portrayed themselves to be. 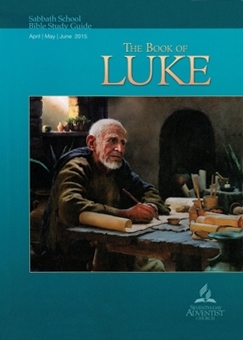 Today the focus is on Jesus' parable of 'The Rich Man and Lazarus' found in Luke 16:19-31. Jesus begins this parable by saying; "There was a rich man who was clothed in purple and fine linen and who feasted sumptuously every day". Jesus, as the Son of God, is recounting an actual event as only God could do concerning real people who are in a real place who have died and are experiencing conditions not found in this life before their death. Jesus himself recounts an actual conversation between the rich man and Abraham who are both dead. The rich man says; "I am in anguish in this flame". The foundational understanding for what Jesus tells us is that there is such a real place for the dead where some consciously suffer separated from those who experience comfort. "The parable is recorded only in Luke, and it teaches two great truths with respect to salvation: the importance of “today” in the process of salvation and the absence of another opportunity for salvation after death." In the parable of 'The Rich Man and Lazarus' Jesus, as the Son of God, is sharing an actual conversation of a real place of the dead where the wicked suffer terribly separated from others who receive comfort. The lesson is correct in saying that 'today' is time of salvation because after death there is no 'second chance'. Salvation, our justification, is not an ongoing process. It is 'today', an event and moment in time, where a person is transferred out of the kingdom of darkness and into the kingdom of God through the shed blood of our Savior Jesus Christ. Our justification that delivers us into the kingdom of God is totally and only a work of our Savior Jesus Christ. Sanctification, which is ongoing spiritual growth, is a result of having been declared eternally justified. Jesus mission was to die and shed his perfect holy innocence blood as a complete atonement for the sins of the world. Our motivation for caring for all the needs of those who suffer in this world is godly love. However, we must not forget that a 'holistic ministry' that remains true to the teachings of Jesus Christ recorded in Scripture must be founded upon nothing more or less than the complete gospel as recorded in First Corinthians chapter fifteen. The miracles Jesus performed in his ministry here on earth revealed his love for the whole needs of a person but they also serve to verify that he was who he said he was, the promised Messiah and Son of God whose mission was to die for the sins of the world. The example of Jesus and the original apostles show how we as Christians are to care for and respond to those we find in need. Christians are to show who they are motivated by love for those in need. As for what you preach it must be nothing more nor less than the blood of Jesus Christ he shed at Calvary for the full complete atonement of sin. Remember, what you eat cannot defile you and therefore is not part of the gospel that leads to your salvation. However, since what you say comes from the heart that is what can defile you especially when it isn't founded upon the clear teachings of Scripture. Today's commentary is in response to the discussion questions rather than the Ellen White quotes other than to note that she draws attention to the worth of our soul yet ignores the critical importance of the birth of the human spirit before you can become part of the kingdom of God, John 3:1-21. It is not correct to define all religions as being a search for God the Creator because while all sinners who practice religion attempt to justify themselves with some form of self-works, many who do so have rejected God and don't make a pretence of searching for God. Those whose lives are covered by the blood of Jesus Christ know they will never be justified by their own works because they have the faith of Abraham as outlined in Hebrews chapter eleven. When they stand before God they are covered by nothing but the blood of Christ. Since Adventist theology majors on what a person must do to please God it is inherently a form of religion for those who falsely believe this will justify themselves before God. In the parable of the prodigal son both sons were never anything less than the son of their father. The older son made no fatal mistake as his father reminded him that all that belonged to his father was his secure inheritance. The prodigal son lost his 'earthly rewards' but he was eternally secure in his relationship to the father. The older son was faithful to his father so his 'earthly rewards' were secure. Since he was never lost and never was anything less than the son of his father he also is secure in the sight of his father. The point is that if you are a son or daughter of our 'heavenly Father' you are eternally secure in the kingdom of God. In Jesus' parable of the rich man and Lazarus it is Abraham, not Jesus, who informs the rich man that even if someone were to come back from the grave those who did not believe the prophets would still not repent. Adventism rejects the normal use of grammar and meaning of words by twisting Scripture to fit false theology such as there being no consciousness in death. Solomon simply teaches in Ecclesiastes 9:7-10 that the dead have no personal awareness of what the living are doing. The use of the expression, 'Jesus' saving ministry' has the appearance of alluding to the false Adventist concept of 'The Great Controversy' where there is thought to be an ongoing cosmic battle between Jesus Christ and Satan founded upon non-biblical information of how and why this battle originally began in heaven. Scripture does not give us the details of Satan's rebellion. What we do know from Scripture is that Satan was totally defeated a Calvary. Whatever the unknown details of Satan's (Lucifer) rebellion are, the book of Revelation tells us that the final outcome for Satan, his evil angels and all the unrepentant wicked not covered by the blood of Christ will to be cast into the Lake of Fire. Since Adventist theology has an aberrant interpretation of both the parable of the prodigal son and the story of the rich man and Lazarus it is a challenge for an Adventist to gain a biblical understanding of how they "balance each other out". What we do see is that in your own death, whichever the side of the great gulf that separated the rich man from Lazarus, depends totally upon who your spiritual father is and not upon any 'earthly rewards' bestowed upon you during this life. As for these 'rewards' versus your salvation see what the Apostle Paul teaches in 1 Cor. 3:10-13. Copyright 2015 BibleStudiesForAdventists.com. All rights reserved. Revised May 20, 2015. This website is published by Life Assurance Ministries, Camp Verde, Arizona, USA, the publisher of Proclamation! Magazine. Contact email: BibleStudiesForAdventists@gmail.com.